As Season Greetings are almost upon us and Anyworksmart will traditionally go into well-deserved recess for the next month, I decided to finish the year with something light yet meaningful in order to thank my readers for being with me during the last two years. The best thing that came to my mind was to provide you with a list of five of my favorite movies and TV shows that you can watch with your family during the holidays, while also benefiting from their very serious insights about being a Manager. Waiting (2005) – what your employees may really think about you. 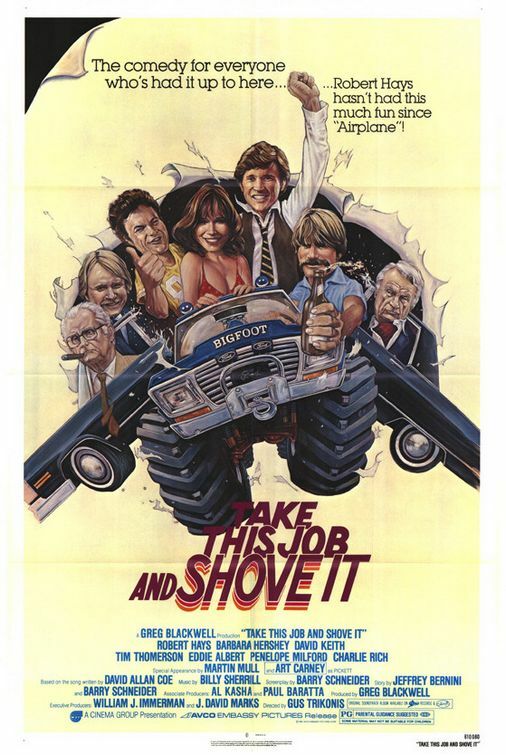 Those of you, who have already seen this light-hearted comedy about a group of young waiters working tables at a restaurant, may have noticed a peculiar thing while looking at the poster – the manager of the restaurant, despite playing a very significant part in the movie’s plot is not among the protagonists. Why? 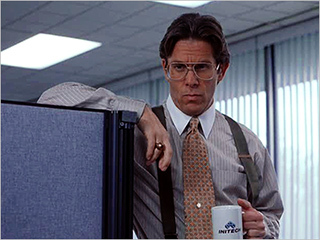 Yes, he’s a perfect example of an “incompetent manager” stereotype: rude, ego-maniacal and obtuse, and things work best when he’s not around. His employees see him as burden, not giving him the benefit of the doubt even in the most basic things, going so far as giving him a wrong address for the party where all staff members are invited. His loyalty to the company and his diligence in supervision account for nothing in the eyes of the employees, because he is unable to relate to their needs and wants, blatantly showing disrespect to anyone below him in the company hierarchy. 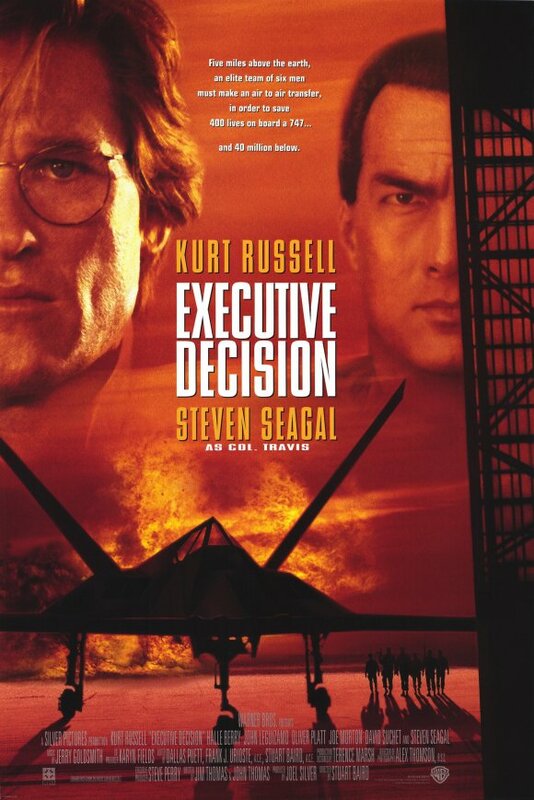 Executive Decision (1996) – how to make one. I never accepted the gender bias in regard to movie genres, so I’ll say it out loud: in my opinion, action flicks are not just the most entertaining product of Hollywood, but also the most intellectually engaging. Why? Because “action” means “people doing things” and doing things in the real world usually involves planning, collaboration and overcoming obstacles. But most of all – constantly making decisions on the fly. This is what this movie is all about. Tough-guy Steven Seagal is killed after first 20 minutes of the film so the unexpectedly nerdy-looking Kurt Russell has to step up for the job. He does that by showing everyone that being someone who earns his bread by thinking and writing reports may be a pretty good preparation for the real stuff. Because shooting terrorists from point-blank range you can learn in a few seconds, but coming with life-saving critical decisions to the never-ending stream of potentially lethal problems is something you have to be prepared for by your previous career. As a result, we are treated a nail-biting two hours of meticulous preparation for an almost anti-climactic 2-minute action sequence, showing us once again that success is usually a just natural result of everyone doing their job right – a team effort. And the hero is not someone who can kill more bad guys, but someone who can lead the team to success by making all the correct decisions without succumbing to biases and emotional pressure. I’m not sure that except for the song many people today remember this early 80’s flick. Nevertheless, it’s a cute story of a Manager who comes back to his home town to try and reinvigorate the old bottle factory through modern production gimmicks. Considering the times, you can imagine how much resistance this attempt to introduce change to traditionally minded environment encounters. Watch the movie – it’s still hilarious. 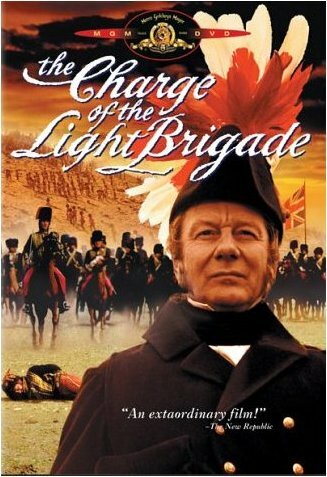 The Charge of the Light Brigade (1968) – people don’t appreciate the importance of communication until there’s a miscommunication. What can I say, with an all-star cast and amazing animated propaganda shorts it’s an all-time classic. It is also based on true events, which, in case you didn’t know, still serve as one of the most famous examples of how things should not be done. The grim story of the Crimean War of 1856 is told simultaneously on many levels from the top-level executives who decide to engage in another overseas military adventure, to the rank-and-file soldiers and junior officers who put their lives on a line for a cause they do not understand, and most prominently – the mid-level officers who are stuck between the two irreconcilable realities: the unrealistic arrows-on-paper plans of the top brass and the real friction of logistics and topography. The constant bickering between them results in a fatal miscommunication, with the crème -de-la-crème of British aristocracy of the time pointlessly dying in an all-out attack, as no one had the courage to second-guess a vaguely formulated order. After so many years, the balance between personal ambitions and commitment to the task is still a challenge, and this movie does it’s best to not let us forget. I know it’s not technically a movie, but as this TV show was cut down so quickly, its 14 episodes feel like one very-very long feature for me. 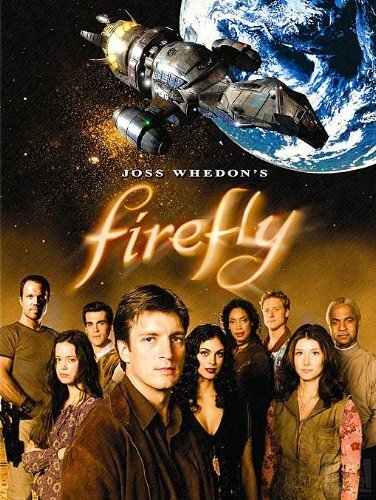 May be you’re not into science fiction and had never watched it, which is totally OK, but those who did watch it are usually pretty single-minded about it – even 11 years since it’s one of the best TV series of all times. And it’s all about Management. However, despite all the hardships, the captain of the ship keeps his small Team together by never flinching under the ever-increasing load of problems, somehow always coming of top of the circumstances. If there is something I’d like to wish you all for the next year – it’s probably that. Whatever the life throws our way, let’s always come on top! This entry was posted in Business Process Improvement, Change Management, Competence Training, Conflict Management, Decision Making, Loyalty, Personal Skills, Project Comminication Management, Project Management, Team Building and tagged Communication, Competence Training, Conflict Resolution, Continuous improvement process, Decision making, Functional Manager, How to Deal, Loyalty, Management styles by AnyaWorkSmart. Bookmark the permalink.